In the midst of Winter, the rivers of sneezes herald the flu season. The viruses that cause these ailments in humans are highly contagious to other people but do not affect cats and dogs. However, the medications that we take to relieve our symptoms can result in lethal side effects if ingested by our pets. Crinkly foil-wrapped pills fascinate cats, and especially young dogs. A fun chewing game can end in the disastrous ingestion of drugs such as paracetamol and ibuprofen. Paracetamol causes liver failure and damages red blood cells so that they lose the ability to transport oxygen around the body. Symptoms of poisoning can occur within 4 hours of ingestion, especially in cats, who are extremely sensitive to its toxic affects. The animal’s gums will lose their normal reddish colour and become blue. They may have difficulty breathing, become depressed, have vomiting and diarrhoea and their feet and face may swell. Seizure and coma can develop and death from liver failure usually occurs within 2-6 days. Ibuprofen is a potent anti-inflammatory drug which, when ingested in toxic amounts, causes gut ulceration and kidney failure. If you suspect that your pet has ingested human medications, seek veterinary advice immediately. By the same token, pet owners should never ‘self-medicate’ their small animals with household human medications. If you are concerned about the comfort of your four-legged friend, especially during these colder months, please seek veterinary advice. One of the best types of medicines to give to a dog that is suffering from a variety of types of pain is the NSAID, or non steroidal anti inflammatory drug. Veterinary NSAIDS are often specially formulated to provide relief from inflammation, which is both a cause of and a symptom of pain. At AVP, we commonly use NSAIDs to treat pain that affects the bones and joints, including arthritis. For more serious and acute pain, steroid based drugs are common. These drugs carry a range of side effects, but none of them is as dangerous to your pet as a medicine like Panadol. 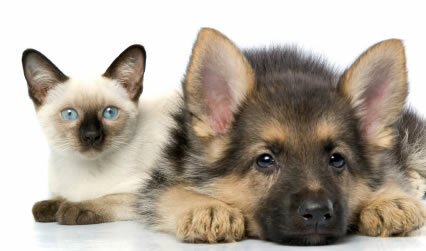 For more information about pets, household and veterinary medication do not hesitate to phone either of our Practices. In the meantime, treat your pet as you would your baby or small child and keep any medications locked away and always seek medical advice.